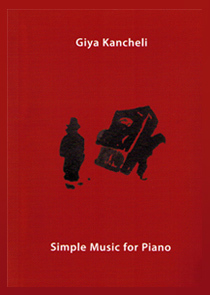 Giya Kancheli is one of the more distinctive voices in international contemporary music. His compositions have been praised by audiences from Soviet Moscow to London’s Royal Albert Hall, and are frequently first heard in his native city of Tbilisi, Georgia. Alongside his special commissions from orchestras like the New York Philharmonic, he has also written musical scores for many indigenous film and stage productions. 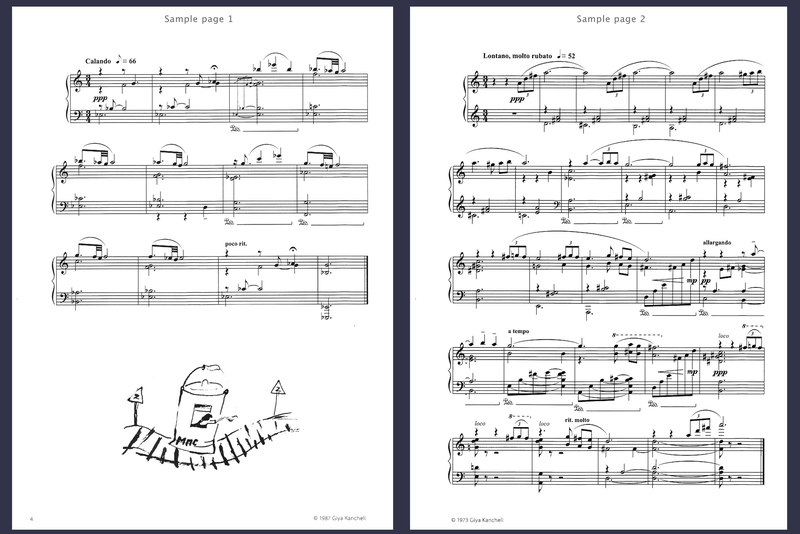 This book of 33 piano pieces, the first of its kind, are all taken from the latter. 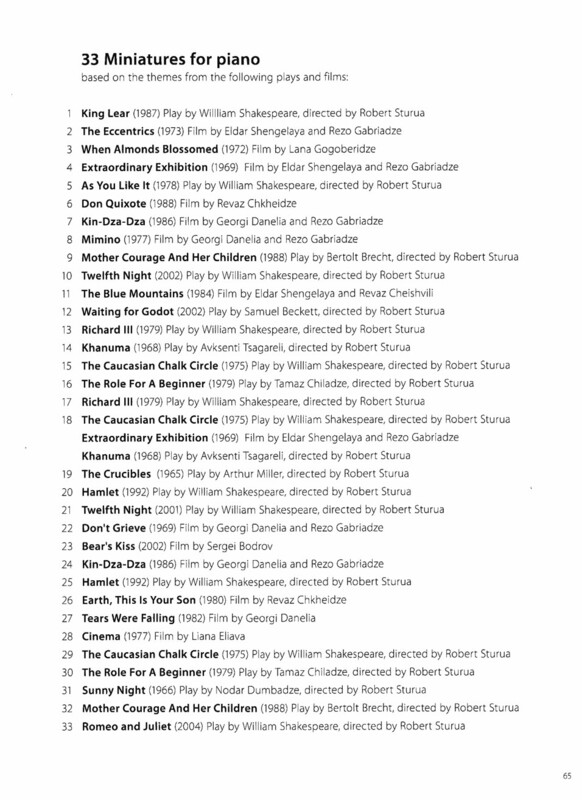 Dating from 1966 to the present, they include motifs from many classic Georgian films and plays - such as Robert Sturua’s staging of ‘Richard III’ by William Shakespeare. 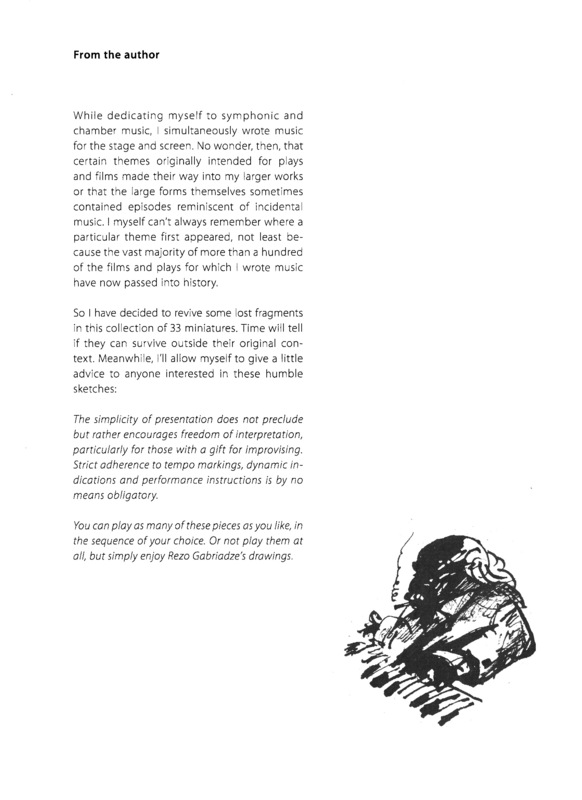 This elegantly designed book contains not only 60 pages of sheet music, but also rare statements from some of the Directors who commissioned the works and an introduction from the composer.